We provide unique cultural activities, entertainment and learning opportunities to those who wish to feel the real rural life. 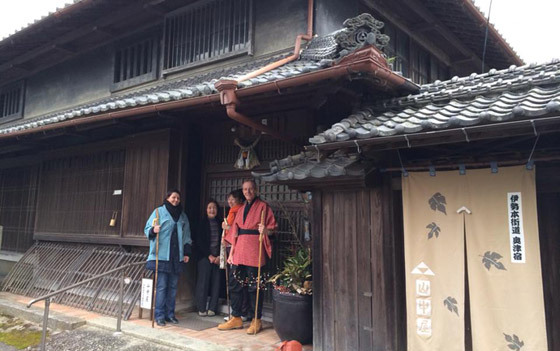 All the tour or cultural experience here are provided either in Misugi Resort or in Misugi village traveling from Misugi Resort by a shuttle bus. 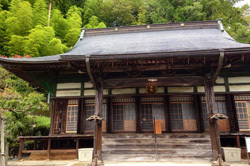 Ancient pilgrims started off their journey from the Tamatsukuri Inari Shrine, Osaka, a gateway from western Japan, to the Ise Jingu Shrine which has been worshiped as a shrine enshrining Amaterasu Omikami. “Ise Honkaido” running through Misugi is part of this pilgrimage route and it is said that Misugi was the most prosperous area as a castle town built by one of the provincial governors Kitabatake. A guided walk along old houses and shops with a storyteller will take you back in time! Please contact us if you wish any other time. Originally, Japan has 24 season calendar which divides the year into 24 solar terms, each reflecting a natural phenomenon, and synchronized with seasonal change. There are seasonal turning point called “sekku” corresponding to special occasions on the calendar. Sitting with local elderly people, you will enjoy the way or how people spend their time and sekku culture in Misugi handed down across the generations (traditional food is a must!). 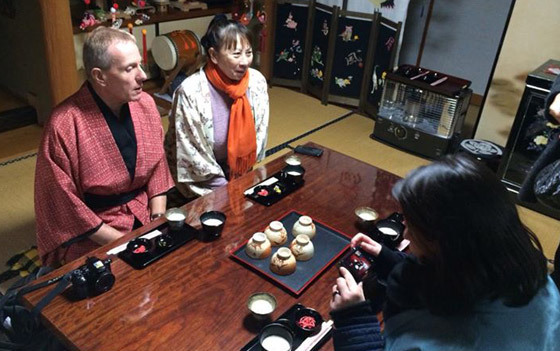 Feel the traditional culture and touch the warmth and hospitality of the people in Misugi! *This program may not be offered depending on availability of a host family. 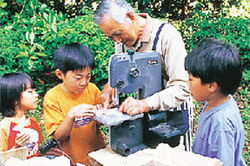 Thanks to forestry, Misugi used to be in good financial shape and the increasing number of cheap imported wood, however, caused the forest industry to decline and the population of young people to decrease. 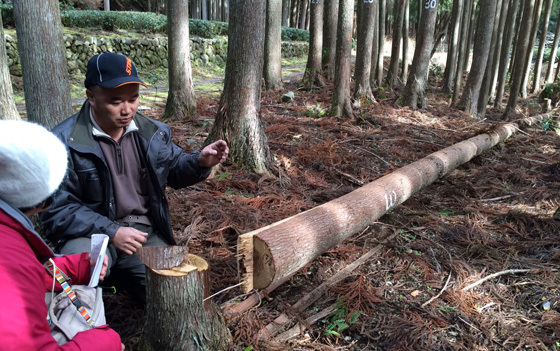 Under such circumstances, Miura Rinsho, one of the forestry experts, works in Misugi with respecting traditions while also innovating. They will tell a story about the forest industry, moon phase harvesting, etc. and take you into the forest to show you how to cut down trees, operate heavy machinery and shave off the bark of the trees. *Subject to change due to seasonal availability. *This program may not be offered depending on availability of a forester. *Please come with casual clothes and shoes which you would not mind getting dirty. Misugi was chosen as a forest therapy base only in Tokai area, and the physiological and psychological relaxing effect of forest environments in Misugi is scientifically proven. 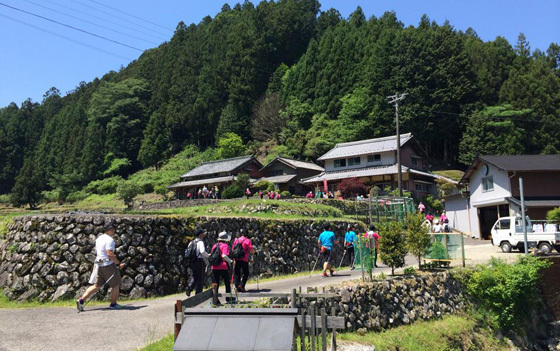 Misugi proposed Health Tourism and provides 12 courses where you can walk through the untouched nature with a local tour guide or a forest therapist. The power of natural forests has the skin-beautifying effect as well as improves immune functions. Soaking in a hot spring (in Misugi Resort!) is believed to enhance these benefits. Nothing is as pleasant as a walk in woods! *The tour may not be offered depending on availability of a therapist. Take a cosmic voyage as you lay beneath thousands of stars in Misugi. 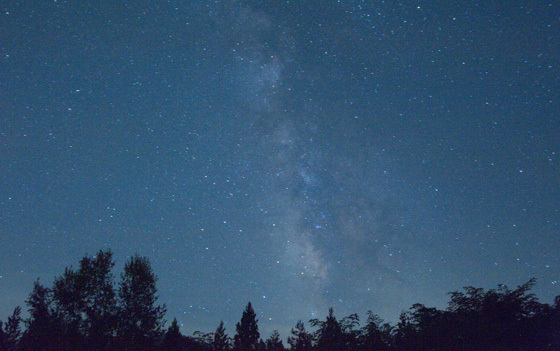 On this stargazing experience, there is a high probability of coming across wild (but sweet!) deer. It is also true, however, that we suffer from wildlife damage. This eco-tour will bring you the beauty of nature and make you think about regional issues. Nordic walking, gaining attention rapidly these years, is a total body version of walking and is performed with specially designed walking poles similar to ski poles. Nordic walking’s concept was developed on the basis of off-season ski-training activity. Compared to regular walking, Nordic walkers burn 30% more calories and use 90% of their entire body with greater intensity. 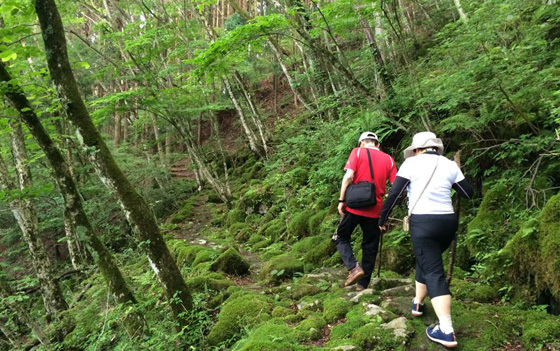 In Misugi, we have several forest therapy courses which are suitable for Nordic walking so enjoy a complete full-body workout! * This activity may not be offered depending on availability of an instructor. You can choose 2 kinds of Baumkuchen. 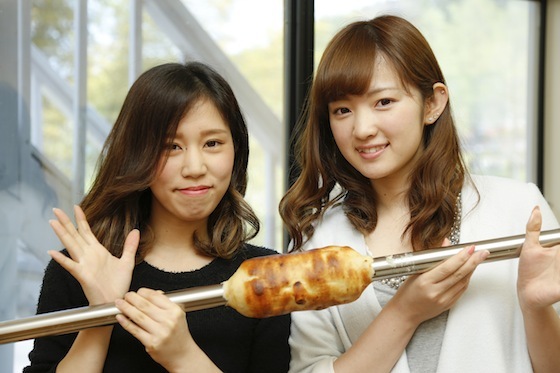 One is normal Baumkuchen and the other is soy milk based Baumkuchen. Most of ingredients are from local. By using woodworking kits made from Misugi timber from thinning, we will make a TV remote control holder, small chair, tissue case, etc..
We invite a special lecturer Mr. Miura working as a forester for generations and make some wooden products, such as a table and a chair. Create what you like in the space of healing surrounded by woods! You will walk in the green and gather wild grasses. For what? 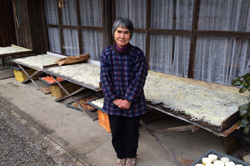 Ms. Sakamoto, a specialist in cooking with wild grasses living in Misugi, will not only show you how to cook but also tell you about yin and yang in wild grasses. She will bring healthy and tasty recipes to purify your body and soul. *This program may not be offered depending on availability of Ms. Sakamoto. How about listening to Buddhist sermons and trying Zen meditation which you can control your breathing and blend into the nature? This is a great opportunity when you are looking for a relaxing spiritual practice. *This program may not be offered depending on availability of a temple. Nothing is better than homemade organic vegetables after hard work with local Misugi farmers. You can explore valuable ecology and enhance environmental awareness. Wood-chopping is more difficult than it looks like. 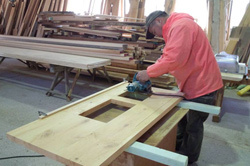 A Misugi cowboy will show you how to do that by using Misugi timber! 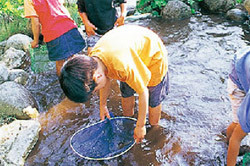 Release fish in the private pond and try to catch them! We will cook fish you caught along with rice balls on a barbecue grill. What a tasty! Seeing fish swimming in the water is something rare to find in the city. In this program, we will learn the importance and value of life.